1 Timothy 4:13-16 "Until I come, give attention to the public reading of Scripture, to exhortation and teaching. 14 Do not neglect the spiritual gift within you, which was bestowed on you through prophetic utterance with the laying on of hands by the presbytery. 15 Take pains with these things; be absorbed in them, so that your progress will be evident to all. 16 Pay close attention to yourself and to your teaching; persevere in these things, for as you do this you will ensure salvation both for yourself and for those who hear you." Over the last few posts, we have explored key attributes or characteristics of the Bible. In what author Kevin DeYoung suggests, the following acrostic "S.C.A.N" captures the four main attributes of our study: sufficiency, clarity, authority and necessity. My hope is that this short study has introduced you to some rich concepts and has helped you to have a higher regard for the precious Book of God. We have looked thus far at three attributes of scripture: Sufficiency, Clarity and Authority. The final attribute of scripture we will consider is that of its necessity. Whenever one goes to purchase a car, there is “standard” equipment and then “options”. Pinstripes, chrome and a certain type of feature in the car’s audio doesn’t make the car go faster or go period. However, if the car didn’t come with tires, a motor and a transmission, then one would not have a working automobile! Such standard equipment is “necessary” for the car to operate. For many of us who are Christ-followers, we surely ought to know from this study that the Bible is “necessary” for the Christian’s life’s beginning and continuance. 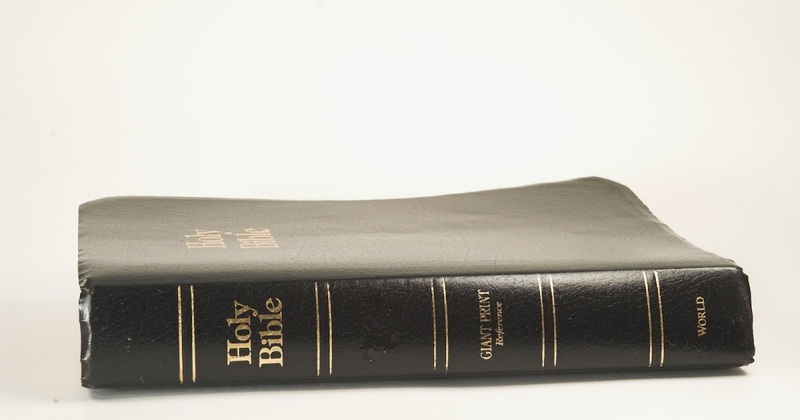 Yet, how often do we treat the Bible as an “option” rather than as “standard equipment”? Imagine what would happen if the Bible had never been revealed? People would never know about the Gospel, how to get to Heaven, anything about Jesus, the meaning of life and the specifics about the God that created this world and all it contains. Centuries ago it was said that science explains how the heavens go, whilst the Bible explains how to get to heaven. The Bible is necessary for understanding this life. The Holy Spirit converts the souls of sinners who respond by faith through the Bible being taught, preached or explained (1 Peter 1:23; James 1:18). We could go on, but it ought to be patently clear that the Bible’s sufficiency, clarity and authority leads to this final attribute of its necessity.